Identification – so we know we have the right person! Medications – medicines add to the cocktail of the body which can cause interactions. It could mean affecting the way you heal such as how Warfarin causes increased bleeding. Some heart medication are affected by Nurofen. Drugs used for osteoporosis can affect bone healing after extractions. Other medications can cause dry mouth which reduces protection against decay. Makes life complicated! 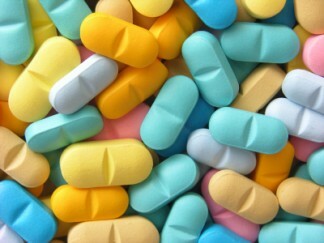 Allergies/Side effects – The most important are Penicillin and Aspirin. However other medications can in some people cause nausea such as Codiene. Heart / Blood pressure – Uncontrolled high blood pressure can mean sensitivity to certain local anesthetics. 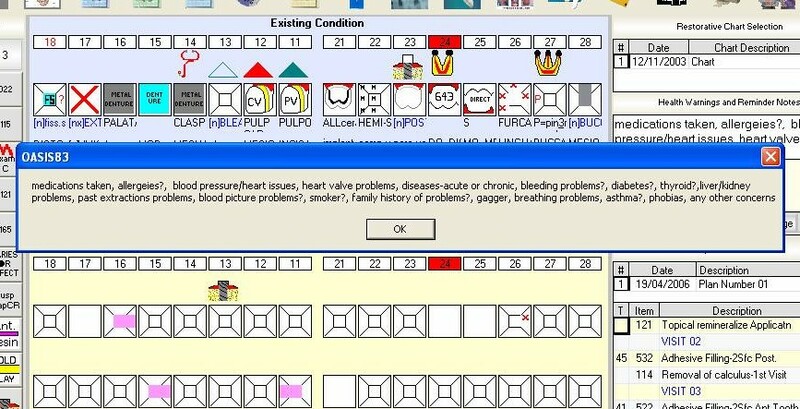 Also there can be a reduced ability to cope with certain procedures. If the gums are unhealthy this has been shown to affect heart disease. Diabetes – This affects the sugar levels in the blood. Consequently if the levels are not right any stress may not be tolerated well. It also affects the immune system. Poor gum health can be made worse by uncontrolled diabetes with a greater bone loss. Thyroid problems – An over or under active thyroid gland can cause sensitivity to certain medications, bone and heart problems and a reduced ability to fight infections. These conditions can alter development and body functions. Liver / Kidney issues – These include all types of Hepatitis for infection control and the ability to process medications. Kidneys also need process medications but have an affect of blood pressure if all is not well. Bleeding problems – Even taking aspirin regularly can cause you to bleed more easily. Certain blood disorders may reduce the ability to clot. This leads to problems with surgical procedures including tooth removal and gum problems. Any artificial parts especially Heart Valves – This will require antibiotic cover before certain treatments to prevent bacteria entering the blood. Dental procedures that cause bacteria to get to the heart include extractions and deep cleaning of the gums. The germs can then grow on the artificial heart valves and can cause the dangerous spread of infection throughout the body. Asthma / breathing problems such as Sinusitis – Some Asthmatics are sensitive to aspirin. Also they may be sensitive to other chemicals that can cause an attack. Please note asthma medication is a medicine that needs to be reported to the dentist. Sinusitis can cause referred pain to the upper back teeth and can be confused for tooth ache. Blood deficiencies such as Iron, Vit B12, Vit D – These can affect the body’s ability to heal and cause problems the tongue, gums, and bones. Other diseases / illnesses such as Epliepsy – This is important to be aware of any possibility of fitting. Also some epileptic medication can cause an over growth of gums. Any fears or phobias – We want to mange these problems properly. Getting to sit in the dental chair is a major achievement in itself. The dentist will work with you to cope with dental treatment. Past dental problems with any treatments – such as healing after teeth removal. Difficult teeth removal? Problems with healing? Forewarned is forearmed! Smoker? Alcohol intake? – This can increase the risk of oral cancers and gum disease. Gagger? – We will do our best to reduce gagging by altering the way we do our work. Pregnant? – Management of xray taking & medications needs to be looked at, but avoiding the dentist when you are pregnant is not in the expecting mothers best interest. Pregnancy causes a change in life style which increases the risks of decay. Also due to hormonal changes increased gum problems may occur. Back problems – The staff can reduce the discomfort in the chair with pillows and the position of the chair. We aim to please! This information is then record and comes up as a warning on our file so we can personalize treatment. The more we understand your medical needs the better we can treat you. This may mean a team effort with other health professional to get the best health outcomes for you. Next week: What is in a Dental Exam – There is more to your mouth than teeth.